Backpack to Yosemite National Park's iconic Half Dome. Get 6 months to pay $880.00 with PayPal Credit! No payments + no interest if paid in full in 6 months. Embark on a challenge to summit the iconic focal point of Yosemite Valley - the 8,842' granite Half Dome. Towering nearly 5,000 feet above Yosemite Valley, Half Dome dominates the eastern end of the valley, providing an amazing sight for all its visitors. Spend four challenging days ascending this world famous granite dome under the guidance of the experienced staff from Lasting Adventures, a non-profit local guide service. Your hike begins at Glacier Point, 3,200 feet above Yosemite Valley, where you'll see panoramic views of Yosemite Falls, Cloud's Rest, Half Dome, and much more. From there you'll descend into the Illilouette Valley and camp by the river under Mount Starr King, an impressive granite dome that reaches over 9,000 feet skyward. Follow the Panorama Trail to Nevada Falls and the Little Yosemite Valley. Your guides will time the ascent of Half Dome for sunset on Day 3 or sunrise on Day 4, making one of the best views in Yosemite even more special. From the summit of Half Dome, you'll descend to Yosemite Valley via the Mist Trail, passing Vernal and Nevada Falls along the way. Please note: Due to strict permitting, dates are limited! Once you purchase your voucher, please check your email for instructions on how to reserve your final date as soon as possible. See FAQs for more information. Meet your guides in the afternoon to get acquainted with your group and your gear. Take a stroll along the valley trails as dusk envelops the Valley, and spend the night in the Yosemite Valley Backpackers Camp. Please note front-country meals are not included. After breakfast in Yosemite Valley, catch the 10:00 am tour bus to Glacier Point (7,214 ft). After taking in the views at Glacier Point, leave the crowds behind and descend down into Illilouette Valley. After 3.8 miles of downhill with one short climb of 200 feet, cross Illilouette Creek and camp (6,430 ft) at a knoll along the river, beneath the granite domes of Mount Starr King. Hike out of Illilouette Valley on a moderate but scenic climb to the Panorama Trail, before descending to the precipice of Nevada Falls. After resting at Nevada Falls and taking in the view, continue on to Little Yosemite Valley (6,040 ft) to camp for the night. Enjoy a break at the beach along the Merced River near camp. Half Dome will be completed either in the afternoon on Day 3 to catch the sunset, or the following morning with an alpine start to catch the sunrise. This is a strenuous uphill of 3.5 miles to the summit at 8,842 feet. Descend to the floor of Yosemite Valley (4,000 ft) via the Mist Trail. Follow the trail down the Merced River and take in beautiful views of Vernal and Nevada Falls along the way. You can expect to finish with your hike today around 3:00-5:00 pm. All trips are subject to Lasting Adventures obtaining the necessary wilderness permits. Although the success rate is 98%, should they not be able to obtain the exact trailhead, a trip of equal quality will be obtained. Should weather, fire, and/or delayed seasonal openings affect the chosen itinerary, a different itinerary will be offered. You'll be kept in contact throughout this process. Lasting Adventures, Inc. is a recognized 501 (c) (3) public benefit nonprofit with the specific purpose of providing safe outdoor experiences, positive youth development, and educational opportunities to the general public. In addition, they also strive to provide charitable assistance for participation in such opportunities to otherwise disadvantaged youth. Since 1997, Lasting Adventure's program has introduced thousands of youth to nature and the wilderness experience through Adventure Based Programming. Their top-rated Yosemite Guide Service (day hikes and backpacking trips) helps fund their youth program. By choosing Lasting Adventures for your next adventure, you get competitive rates, experienced, credentialed, and fun guides, meals, equipment as needed, and the satisfaction of knowing that all profits gained from your participation go towards helping youth benefit from summer outdoor adventures in Yosemite. This was an incredible experience. Lasting Adventures was extremely helpful in every aspect of this trip. The Executive Director of the company, Scott Gehrman, called or emailed me himself to answer all my questions. One of my children is vegan and they were easily able to accommodate her diet. Our guide for this trip, John, was easy going and very knowledgeable of the area. This trip was fantastic and Lasting Adventures was perfect for us. I would book with them again with complete confidence of a great trip. 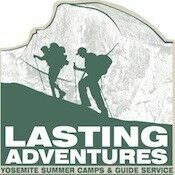 Lasting Adventures was amazing to deal with from the first inquiry. Our guide was helpful, fun, and informative and we thoroughly enjoyed our backpacking hike with him. The scenery and views we experienced will be implanted in our minds forever and we couldn't think of a better way to experience Yosemite! We were also pleasantly surprised at how gourmet the food was for a backpacking hike. 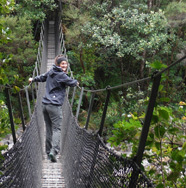 If you are looking for a guided trip through the park - this is a great company to go with! This was my first visit to Yosemite and I couldn't have picked a better intro to such an amazing park! The guides, Nolan, Brando, and Gus didn't just take amazing care of us, but shared their knowledge, experience and passion for the back-country. Nolan was a strong leader and instilled confidence in the group. He is also an amazing cook! He is very knowledgeable about the park and was always pointing out the various peaks, valleys and sharing the lore of the park which I highly appreciate. Brando was always there to bring up the rear while on the trail or to take care of our blisters at camp, all the while providing encouragement and excellent humor! Gus was our "junior" guide, but his confidence and experience was far beyond junior. His boundless energy helped keep our momentum up. I would HIGHLY recommend Lasting Adventures to anybody who wants to see more of Yosemite beyond the busy streets of the valley floor. They provide much of the needed gear and all of the permits which can be difficult, expensive, and time consuming to acquire. I hope to revisit Yosemite with them soon. Voucher valid until 10/14/19. Your departure is not confirmed until you receive confirmation from Lasting Adventures. Please do not make travel arrangements until you receive confirmation from Lasting Adventures. Is my departure guaranteed? How do I redeem my voucher? Due to high demand, departure dates are limited and book out quickly. All trip departure dates are pending permit availability, which is known 24-weeks in advance of the date. Please refrain from making travel arrangements until you have confirmed dates from Lasting Adventures. Departures are subject to change based on availability. Once you purchase your voucher, detailed instructions will be sent to you with Lasting Adventures' contact information. Please reach out to them as soon as possible in order to secure the dates you desire as dates sell out quickly. Please note your departure is not confirmed until you receive confirmation from Lasting Adventures. How do I get to Yosemite? The closest airport is the Fresno-Yosemite International Airport (FAT). From there, rent a car and drive to Half Dome Village or take public transportation via Yosemite Area Rapid Transit (YARTS). Lasting Adventures will provide sleeping bags, sleeping pads, and tents, and you'll be camping in the Yosemite wilderness along high alpine rivers and streams. Enjoy gourmet, backcountry cuisine (except Day 1 and breakfast on Day 2, as you'll be in the front country for those meals). Lasting Adventures is able to meet almost all dietary limitations, so please let them know ahead of time if you have any restrictions. This trip will cover most of your expenses, but plan to bring cash for dinner on Day 1 and breakfast on Day 2 as those meals are not included in the trip price. Plan to bring a little extra if you would like to purchase souvenirs either before or after the trip as well. Gratuities for your guides are not included. Lasting Adventures will send a detailed packing list upon booking, but plan on bringing clothing that is easy to layer, a hat, sunglasses, sunscreen, hiking boots, waterproof shell, trekking poles (if you prefer your own), day pack, flashlight, and water bottle. How many people are on each trip? Lasting Adventures strives for a ratio of no more than 1:5. The largest backpacking trip would have 8-10 clients with at least two guides, if not three. Lasting Adventures embraces small group sizes to maximize your experience. Can I park my car somewhere? Yes, in the Half Dome Village large parking lot, where you'll meet your group and guides. Can I leave extra luggage somewhere? Yes, either in your vehicle or in one of Lasting Adventures' vehicles if you prefer. Scented items (e.g. toiletries and food) must be stored in bear-proof containers, which are available and free to use in the parking area. Book confidently with Free Cancellations within 72 hours of booking. After 72 hours, cancellation fees will apply. Cancellations are subject to the full discretion of Lasting Adventures. For more information on our Travel Cancellation Policy please Click Here.